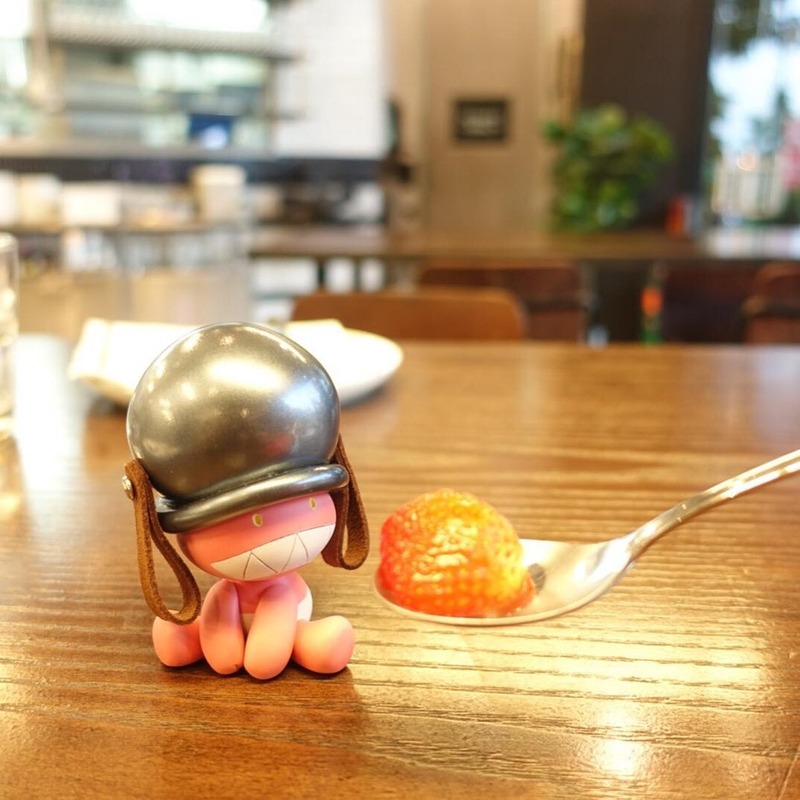 Thai artist Resin3vil is about to drop the debut edition of his Supper resin figure. The pink lil' tot is all about tasty morsels, so much so that he's wearing his passion on his head in the form of an old-school iron cooking pot. This clever design is a fun twist on food toys and offers a rewarding double-take moment. This one is all about the fun concept and less about seeking perfection in a hand-painted resin figure. Resin3vil will release Supper OG (3.35", Edition of 10) via his Facebook and Instagram pages on Saturday (2.2) at 5 AM PST for $60 each. At the release time, he'll put up special release posts on both of his social media pages. To order comment with F,1 (Facebook) or I,1 (Instagram) to indicate you'd like to purchase a figure. If there's stock when you order via comment, you'll be contacted to arrange payment. Five pieces will be available on FB and five on IG. Shoryuken! BigBoysToys is set to released special GID Flocked editions of their Ken and Ryu Street Fighter Bulkyz vinyl toys. Featuring the brand's signature super buff sculpts, these special editions featured streamlined designs with GID bodies and flocked clothing. Ken rocks the blue glow while Ryu reps the traditional green glow. 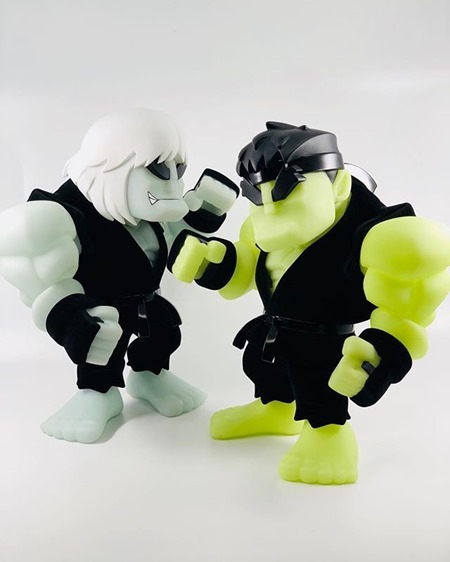 Limited to 50 pieces each, the Ken and Ryu Bulkyz GID Flocked Editions (~12") will be available on Friday (2.1) at 8 PM PST from the BigBoysToys shop for $115 each. Happy Friday. Celebrate the weekend with a new flavor of lil' Scoopy from LA-based artist Nouar and Martian Toys. The Rocky Road edition brings pure indulgence to your shelf with that triple-threat ice cream, cherry-on-top and light orange bowl body. 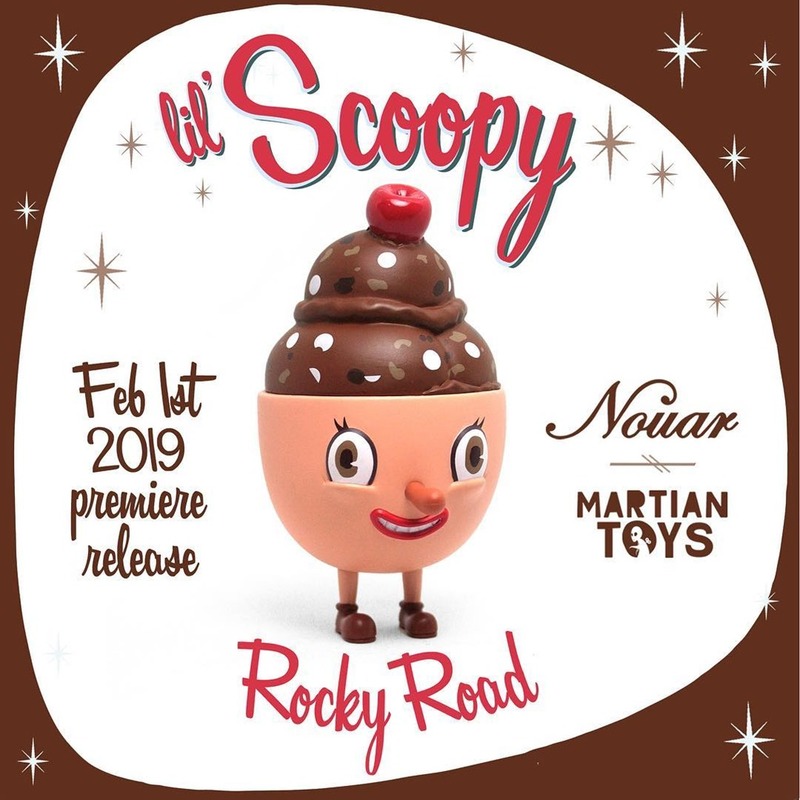 Limited to 100 pieces, the Lil' Scoopy Rocky Road vinyl (4") is available now for $29 from Martian Toys. Boom! 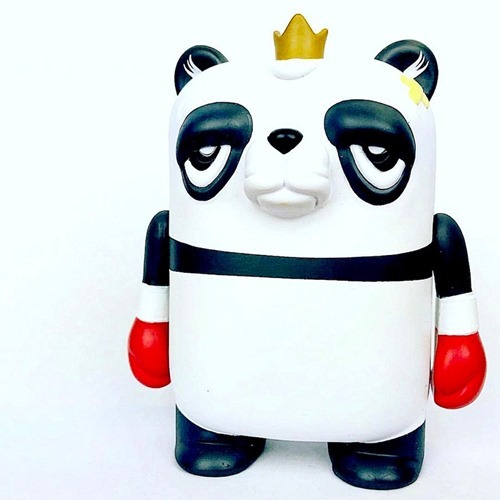 Bearchamp returns to the ring with the new Panda edition from JC Rivera and UVD Toys. Just in time for Chinese New Year, the Black + White 4" vinyl slugger is ready to make his foes black and blue. Limited to 100 pieces, Bearchamp Panda Edition is available now for $50 from the artist's web shop.